The UN Commission on the Status of Women is meeting in New York City this week. Although Iran is a member of the Commission, Iranian women are prohibited from attending by their government, or if they do attend are retaliated against once they get back to Iran. 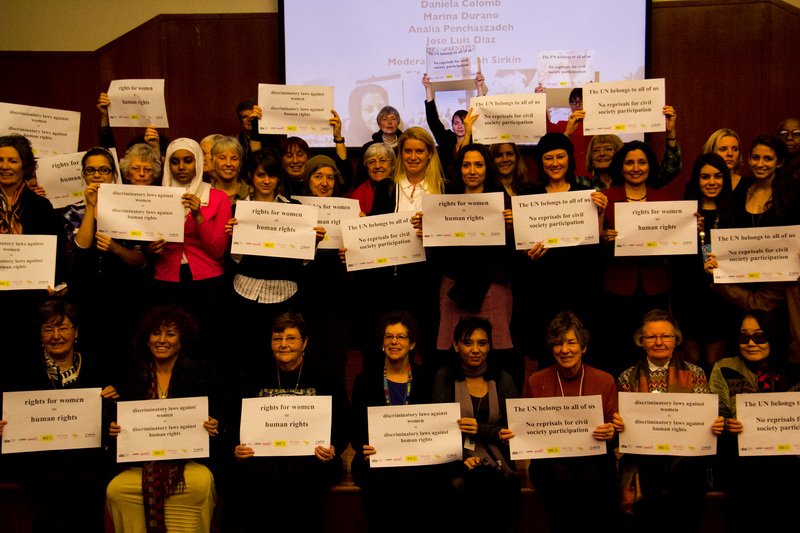 On February 29 a group of NGOs (non governmental organizations) including Amnesty International held a workshop in New York City in support of and in solidarity with the Iranian women and to discuss how to deal with the problem. This entry was posted on March 1, 2012 by steve's pictures. It was filed under Uncategorized and was tagged with Amnesty Internationa, Commission on the Status of Women, human rights, Iran, United Nations, women, women's rights.